Uh-oh: we all know what lives under the bed, right? But star author Anne Fine might just surprise you. Toby is really scared of the monsters under the bed. His family are at their wits’ end. How can they show Toby that monsters don’t exist? Will a new bicycle help? Or a magic spell? Or does this call for a whole new plan? 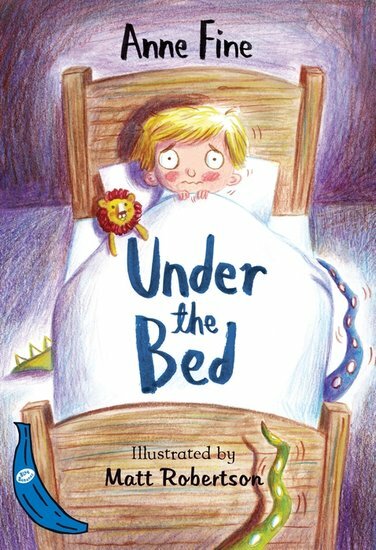 This reassuring full-colour funny gives hope to all kids with monster problems like Toby’s!